A comic store for people that READ comics! You can find POP! Alberta nestled just behind the Jasmine Belle Cafe on Alberta Avenue at 11806 - 87 street. Keep an eye out for their amazing store front! Ron's stock is conveniently organized for an orderly dig. You won't find super rare collectibles here. POP! Alberta specializes in discount 20th & 21st century comic books that are meant to be read!! Stock is updated frequently, so go on down today. You will not leave empty handed! There are plenty perfect spots to get some rest and relaxation in the sun on/near Alberta Avenue. Here are a few good options to start with. There is the coziest little table tucked around the corner of The Carrot. Grab a book from the free library and enjoy your coffee while someone plays the community piano. This nicely appointed little park in historic Eastwood has a great playground, an off-leash dog area, and a rink for winter fun! Take a load off and enjoy some amazing French and Vietnamese delicacies on the patio at the Jasmine Belle Cafe. The patio at Battista's was packed for Eats on 118! This is the best spot in the city to get a scratch made calzone. I definitely had seconds of the Pesto Presto last time around!! This little gem is tucked behind the Alberta Avenue Community League. We got some really nice air on that swing set! Located in the 118 arrondissement... Just kidding, but the baking at Passion de France will make you think you're in Paris. Enjoy a perfect little macaron on this quaint little patio. Qi Creative (9410 118 Ave) is a unique business on Alberta Avenue. Maybe you've driven past and noticed their beautiful new facade? Maybe you've seen their roof top mural "Create YouR Awsome" by local artist Rust Magic? Or, maybe you've seen Qi Creative CEO and Founder Jonathan Rivero - or Jon Jon as he's known - around the Avenue at events, festivals and local coffee shops. We sat down with Jon Jon to find our more about Qi Creative. In the early 20th century, Alberta Avenue was on the outskirts of the city. 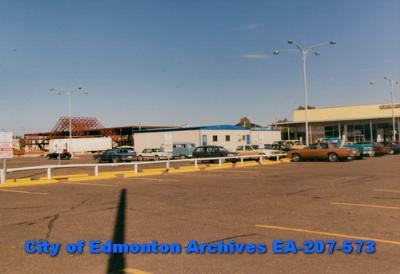 The proximity to 'Packingtown' (a confluence of meat packing facilities) gave rise to Alberta Avenue as a home for workers and as a business centre to support the industry. The area continued to develop as an industrial centre with the additions of the Great Western Garment Factory and the Norwood Foundry. Street car lines were extended to Alberta Avenue during the First World War. This connection to other developing neighbourhoods, and the emerging downtown, facilitated further economic development in the area. 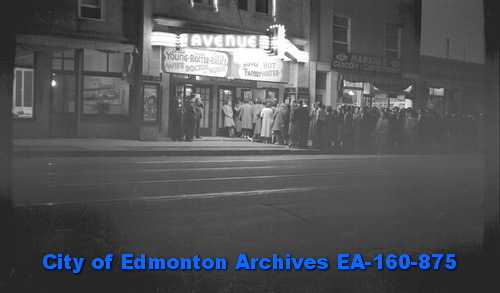 Like all areas in the country, Alberta Avenue was hit hard during the great depression. The residents of the area were able persevere through hard work and supporting one another. Alberta Avenue has always been very community minded, and the Alberta Avenue Community League has played a prominent role in the community since it's inception in 1922. Life on the Ave has had its ebbs and flows through the 1970s and early 2000s, but the community spirit of those early residents is still alive and well. The store facades have changed, but the Ma and Pop character of the area remains. Whether you are sipping a coffee at the Carrot, or strumming through the aisles at Mhyre's Music, it's unmistakable which avenue you're on. After a long winter, summer feels like it's finally here! With food tours, festivals, community events, and 27 blocks of quaint bakeries, eclectic food markets and retailers, we've got your summer bucket list covered. Here's 8 things to do on Alberta Avenue this summer! Eats on 118 is back! Get your tickets today. Your taste-buds will thank you. Get Your Car Spring Ready! It's time for your spring tune up! Winter is loosening its grip on the Ave. Time to get out there! The Oilers won't be making a trip to the spring dance, but you can still come down to Mona Lisa's Pub for some game action and great food and drink specials. Stick around for some karaoke every night Wednesday through Saturday. Work of that winter weight by joining a bowling league. These leagues are a fun & affordable way to stay active and social. Mid season spots available for all ages and skill levels! 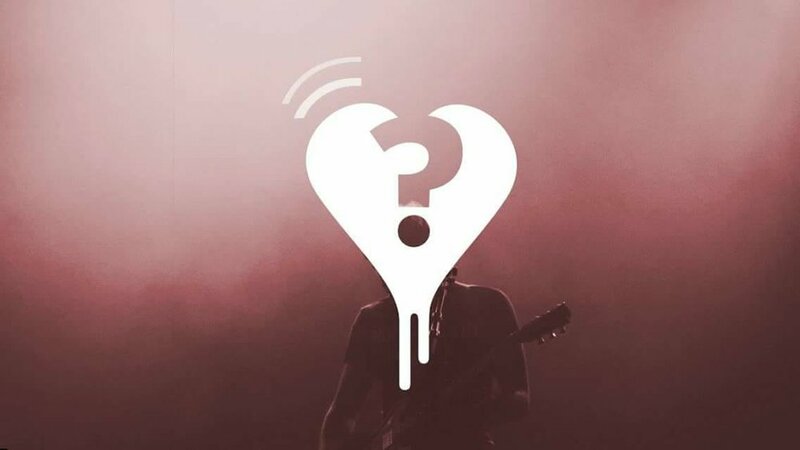 Bleeding Heart has hand-picked some of Edmonton's finest live performers to suit their intimate gallery setting for a series of mysterious musical evenings. For just $20 you'll get access to a two-hour evening of live music and other art forms, as well as an intimate conversation with the artists (snacks/refreshments included!) Events are capped at just 25 guests. April 7 at 7:30pm. "We won't tell you who's playing. That's the fun part. But trust us, you want to be here." 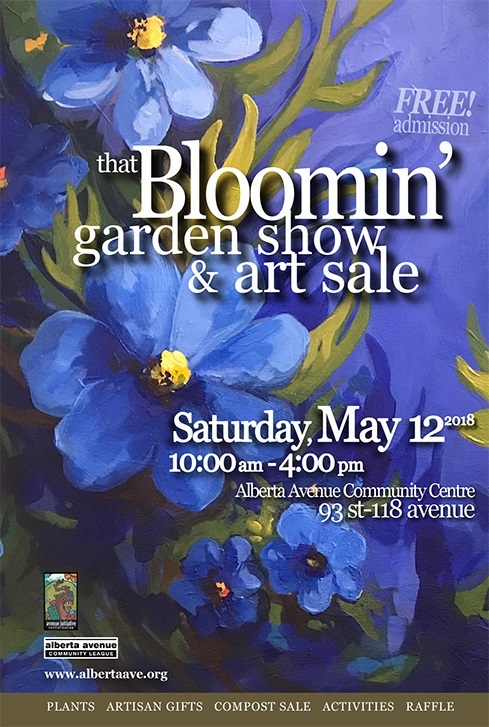 Where you have a green thumb or not, learn, shop and share about gardening at the Bloomin' Garden Show & Art Sale, May 12 at the Alberta Avenue Community League. Learn - A variety of info booths will be available to answer all your questions. Shop - Bedding plants, herbs, hanging baskets, home decor, pottery, jewelry and more! Purge and feel good about it! Bring all your unwanted items down to the Carrot's Ultimate Garage Sale and marvel at all of your new space. The Thousand Faces Festival brings to life the stories at the root of our cultures so we may find we are all connected at the root! Food, art, theatre, dance, and more!! May 24 - June 1 on Alberta Avenue. Let Fast Shoe Repair owner Gino take care of your favourite boots this spring. The key to happiness is a healthy body and mind! Alberta Avenue has a number of fitness focused establishments catering to all skill levels and interests. Bowling is a great way to get limber and blow off some steam. 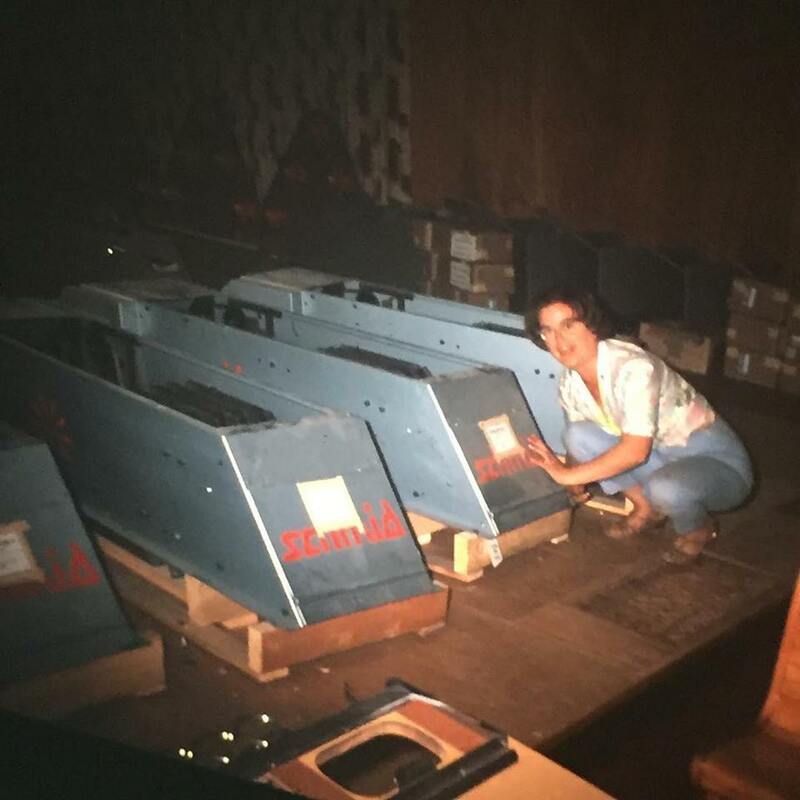 This is Betty Stride (aka Grandma Betty) in 1967 during the installation of Plaza Bowl's state-of-the-art pin-setting machines. They have kept things rolling ever since! Whether you are moving your hips to a drumbeat, or shopping for a bit of sparkle, Bedouin Beats will make sure your experience fulfills your every expectation. 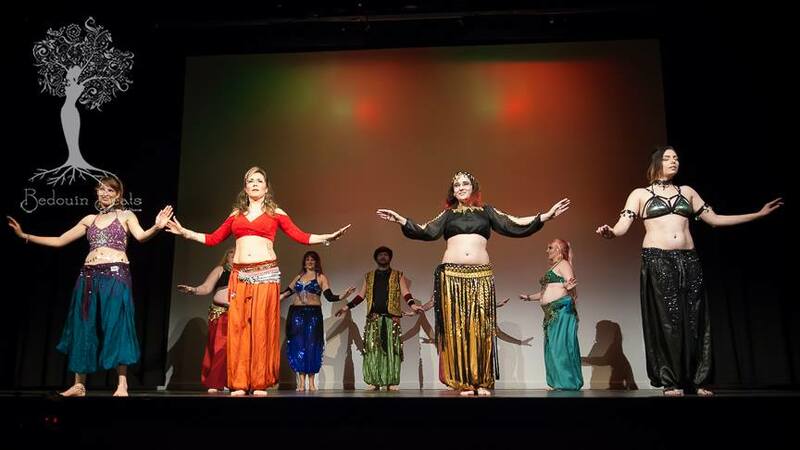 Take a look at the Bellydance Styles page to learn more about what bellydance has to offer! 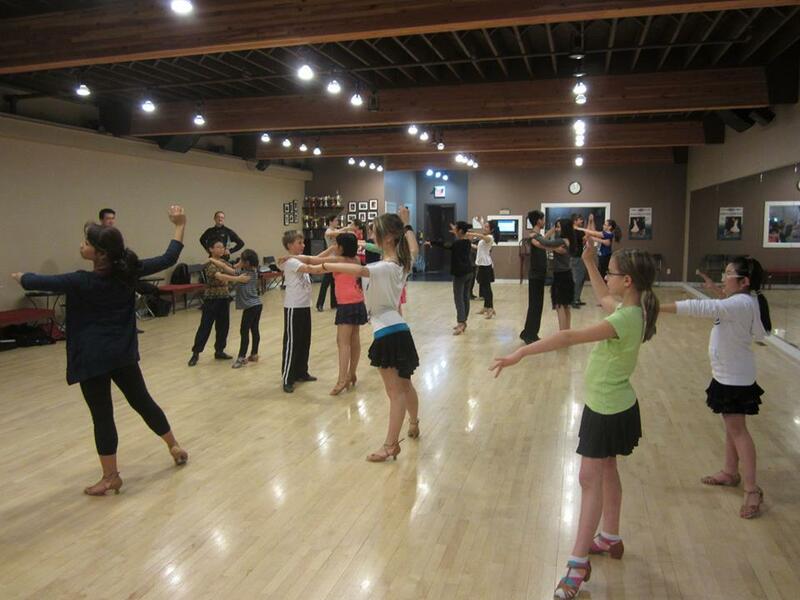 Elite Dance Studio provides beginner and social dance instruction as well as high level competition training by teachers certified with the National Dance Council of Canada (NDCC). Everyone at Elite is passionate about dance – no matter the level! SBG began over twenty years ago, when its founder, Matt Thornton, opened the first locations in Portland Oregon. His goal was to create an academy where ‘best practices’ could develop, where form would follow function. In addition to a consolidated business structure and curricula – there is a strong bond of shared philosophy, and loyalty, that unites all of the SBG locations. It is reflected in the organizations motto – One Tribe – One Vibe. We're helping you kick off 2018 right! Food, dental, exercise and more - everything you need is on the Ave! Heading into the new year, many of us are looking to make daily positive changes, and to generally live healthier. A healthy lifestyle begins with the food we eat, and Alberta Avenue has no shortage of options when it comes to grocery shopping. From fresh organic produce, to homemade bread and specialty stores, Alberta Avenue has everything you need to start 2018 off right! Get more fruits and veggies into your diet. Safeway Coliseum has an abundance of produce available, including locally grown and organic options. Safeway prides themselves in selecting produce from the best crops and has an inspection process to ensure you enjoy a bountiful selection of local best of the season and exotic imports. The smell, the warmth... who can resist freshly baked bread? Popular Bakery is a family owned bakery that has been on the Avenue for decades. You can bet that love and wholegrain goodness is baked into every handmade loaf. 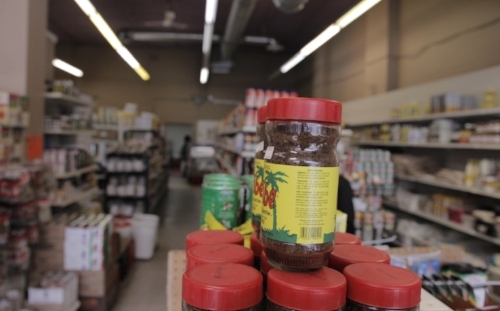 Spice up your recipes with specialty food items from Kasoa Tropical Foods, including exotic spices you won't find anywhere else! Plenty of healthy grains, lentils, legumes and rice are also available. Hydration, hydration, hydration - drinking plenty of water is one of the keys to healthy living! Polar Bear Health and Water has been on the Avenue since 1947. They specialize in filtered water systems and have an incredible selection and knowledge about health products, supplements and vitamins. Visit our Directory for a full list. Happy Eating! Arts on the Ave's annual winter festival, Deep Freeze, is coming to the Avenue, Saturday and Sunday. This Edmonton festival favourite is a great way to explore Alberta Avenue. Take in all the sights, sounds and winter activities, then take a stroll down the Ave to discover a plethora of unique businesses. Fireworks take place on Saturday at 6:00PM in the soccer field behind the Alberta Avenue Community League! FREE showing of MONSTERS INC. in the New Moon Pavilion after the fireworks! ROAD CLOSURE IN EFFECT: Friday, January 12th starting at 9:00AM until Monday, January 15th at 6:00AM. Traffic will be re-routed north or south at 90 St and 95 St. Please see the Deep Freeze Program for additional parking options in the neighbourhood. PARKING BAN: There will be no parking on 91 St and 92 St between 118 Avenue and 119 Avenue as this is our wagon ride route. Residents on these streets are asked to use the back alley and park behind their houses. If you have any concerns, please call 780-471-1580. Did you know the game of five-pin bowling was invented in 1909 at the Toronto Bowling Club in response to customer feedback that ten-pin was too strenuous? Bowling is fun. Beer is delicious. 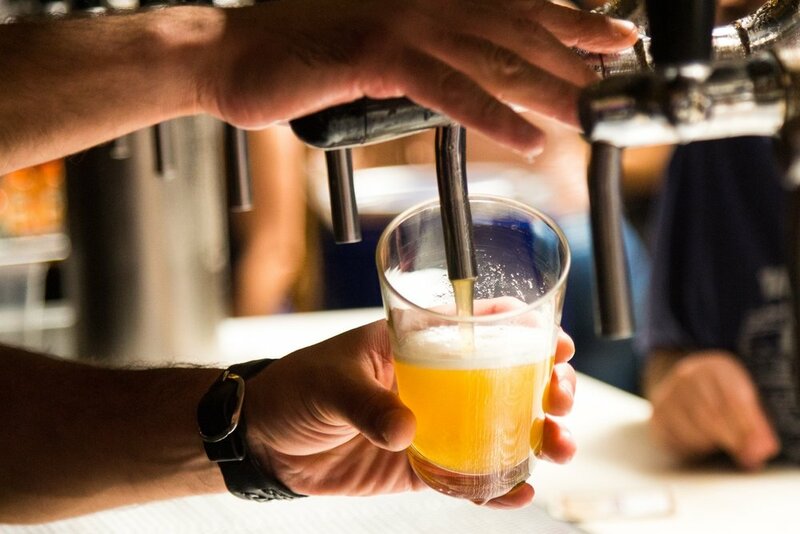 The taps at Plaza Bowl are always pouring tasty offerings like hoppy IPAs, fruity saisons and crisp lagers. Gift certificates available!! The Carrot was opened in 2007 as a physical space for Arts on the Ave and community members to meet. It began its life on a six-month trial as a volunteer-powered, not-for-profit coffeehouse. Still going strong today, the Carrot offers delicious coffee and baked goods, and a great selection of locally made art and artisan goods. They smoke low & slow. With everything from brisket to ribs, and house made sauces, Sloppy Hoggs Roed Hus is sure to please the BBQ aficionado in your life. Gift certificates available! Passion de France is a French pastry shop dedicated to offerING original and high quality fine pastries in a cozy and elegant atmosphere. Enjoy their delicacies in the cafe, or package them up to go! A great selection of house made jams and spreads are also available for purchase (just in case you need a gift for yourself). With more than 45 years experience selling and servicing (and playing!) acoustic instruments, Myhre's Music is the perfect location to get something for the musician on your list!! They sell and service a wide range of instruments, including all members of the violin family, acoustic guitars, banjos, mandolins, resophonics and more. Wee Book Inn has been owned and operated by the Luxford family of Edmonton, Alberta for 45 years! With a great selection of books, records, and movies, Wee Book in is the ideal place to find that special treasure soemeone will love. Nothing warms the heart and soul like some pho! Any foody would love a gift certificate to T & D!! Do, re, mi, pho... Just kidding; no puns here! This place is pho real. Laura and her family have been serving up authentic Vietnamese fare on Alberta Avenue since 2014. Every dish is crafted with care, and sourced locally, so expect nothing but the best while visiting this cozy establishment. Ahson Nguyen and family opened Pho King in 2010. This Alberta Avenue mainstay uses the freshest and highest quality ingredients together to create food inspired by the traditional flavours of Vietnam. 31000 spring rolls are consumed within these walls every year! The atmosphere at Lan's may be friendly and relaxed, but the food is seriously good. Tom has been the proprietor of this family business for 10 years. Pad thai feast for the eyes. New dish preview. These spring rolls now have a home on the menu.